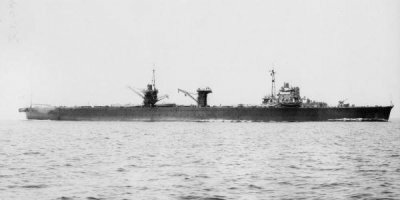 The Mizuho, completed in 1939, was a cheaper and much less satisfactory follow-on to the preceding Chitoses. She was neither fast nor well-built. Like the Chitoses, she was designed for fast conversion to an aircraft carrier, but she was lost before these plans could be carried out. At the commencement of hostilities, Mizuho was with Fourth Surprise Attack Force (Kubo), sailing from Magong for Aparri. She was torpedoed on 1 May 1942 by Drum off Honshu.